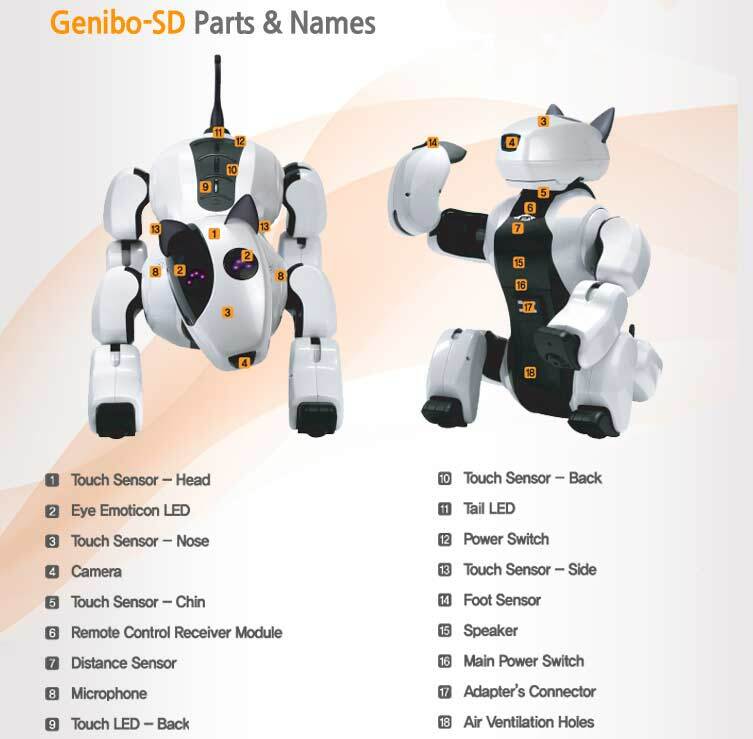 The Genibo SD Companion Robot Dog is a Bulterrier type robotic dog. Genibo has been designed and produced in South Korea where it has been extremely popular. 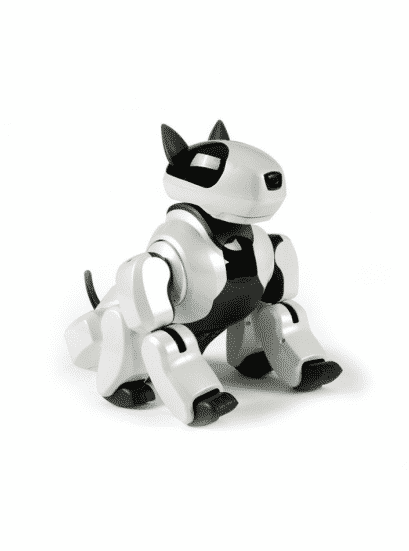 This Robot dog has a mischievous and charming personality. Genibo does not like to have its sides touched. It also loses energy and falls asleep when its owner does not pay attention to it for at least five minutes. It may cause trouble here and there, if vigilance is not kept. Families across the globe loves Genibo and it really feels like it is a real pet. Like a real dog, it can recognize your family and show you it\’s emotions. 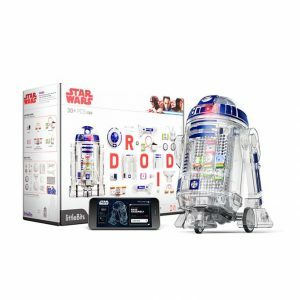 Acts and reacts Autonomously or via Remote Control. User friendly, durable, and vastly more intelligent with totally upgraded CPU. Uses built-in tilt sensor for self righting. Place of Birth: South Korea. Available in White (Black, Blue and Pink are special order 3-6 weeks). This product only ships to America! 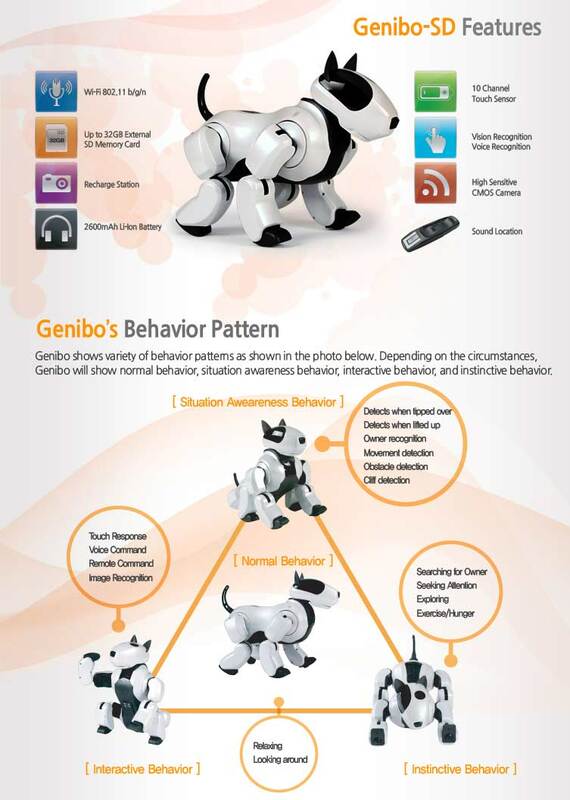 Autonomous behavior: This advanced Korean Robot Dog can act freely and react without command. It also expresses love and charming acts towards the owner just like a real dog. Voice Command recognition function: This dog recognizes commands when it is instructed to do something after touching the head and responds accordingly. 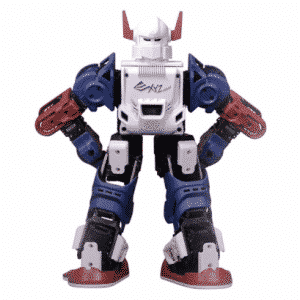 Self reaction function: For self reaction function, it uses built-in tilt sensor that recognizes the position and gets up on its own even when it falls to the side. 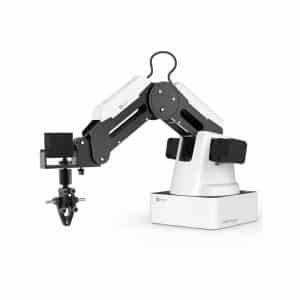 Photography function: This Robot can also photograph or transmit images real-time using the control manager. 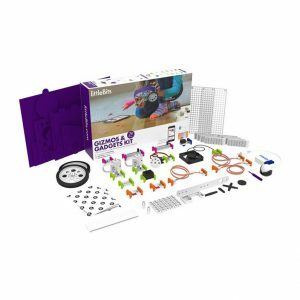 Genibo control manager: It installs the software control manager for PC to control the robot\’s movement from the PC using wireless LAN. 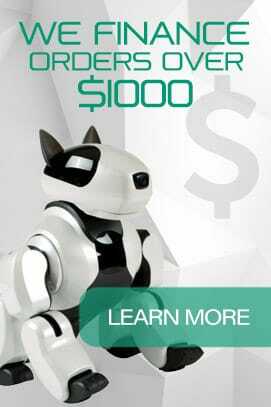 You can also control LED in the eyes and add on new voice commands and emotion icons into the robot. 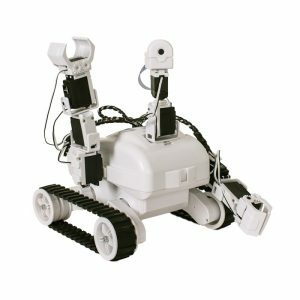 Remote controller to control: The remote control can be used to move the robot to the left, right, front and back, to act cute or to act as if peeing. 1. Turn the slide switch on the Genibo chest to the right. 2. Turn on the robot by pressing on the power button located below the tail until the pink LEDs turn on. 3. 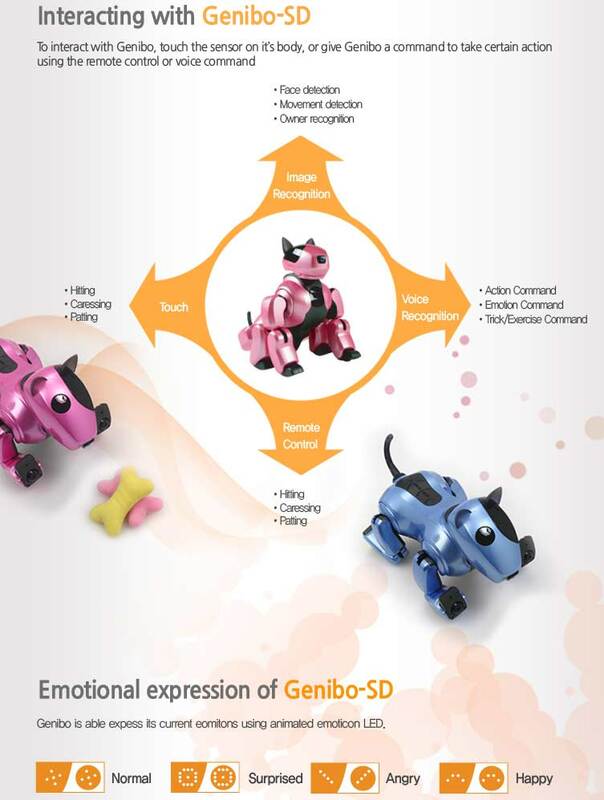 When the Genibo\’s eyes change into round shaped eyes, the robot goes into the automatic mode, acting freely and expressing emotions. 4. The robot acts happily, makes sounds and expresses emotion icons of the eyes when its back is patted. 5. The robot growls when its sides are touched and move the body to avoid being touched when its sides are touched for a long time. 7. When the blue colored emotion icon of the battery shape is visible in the eyes (when the robot groans), it is time to recharge the robot by connecting the charger with the terminal in the stomach.